Although Toy Story 4 is not set to debut until 2017, there is plenty of Toy Story to enjoy until then. In less than a week, Pixar will debut its second TV special, following the successful Halloween special, Toy Story OF TERROR!. The upcoming special also provides us with a story centered around Buzz, Woody, and the rest of the gang of toys audiences have fallen in love with over the past few decades. Toy Story That Time Forgot, Pixar’s first Christmas special, premieres on Tuesday – to mark the occasion, the studio released a new poster, which you can see up close after the break! 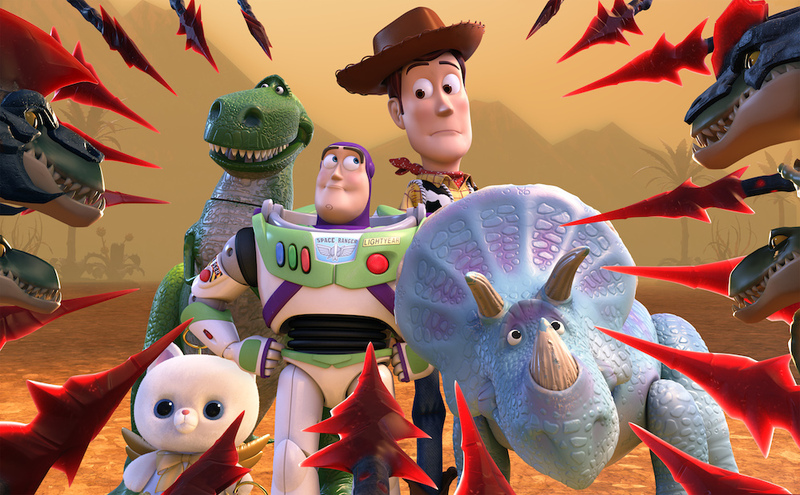 With each new Toy Story project, new characters join the party. After the original film, we have seen toys like Jessie, Lotso, Tiny Buzz, and Combat Carl join the franchise, all creative characters many have come to love. Still, the team at Pixar is focused on creating new toys (which, in turn, makes us want to buy even more toys) for each new film or short. Along with a bevy of new dinosaurs, a character named Angel Kitty (voiced by newcomer Emma Hudak) will make her entrance. She is at the top of the new poster released today via Yahoo! TV. The new character is named Angel Kitty and she’s actually a Christmas ornament that helps carry the spirit of the holidays through the characters’ adventures in Battleopolis. She’s pink, she’s big-eyed, she has golden angel wings, and she may just give Hello Kitty a run for her money in the cuteness department. The lead in the special will actually be Trixie the dinosaur, though, marking her first time as the main character. She made her debut back in Toy Story 3. 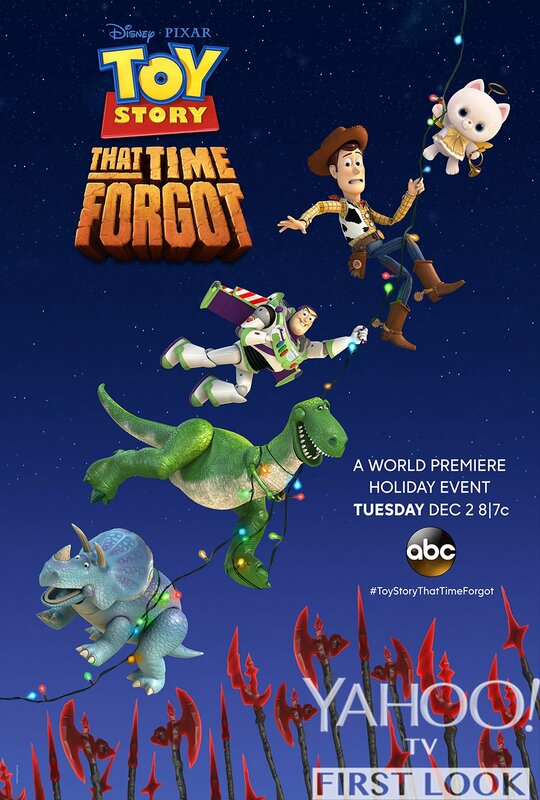 Toy Story That Time Forgot, directed by Steve Purcell, makes its premiere on Tuesday, December 2nd at 8 pm EST on ABC.